Pocatello is the county seat and largest city of Bannock County, with a small portion on the Fort Hall Indian Reservation in neighboring Power County, in the southeastern part of the U.S. On the 16th (Sat), examine the collection at Museum of Clean, explore and take pictures at Swore Farms, take an in-depth tour of Shoshone-Bannock Tribal Museum, then see the interesting displays at Idaho Potato Museum, and finally get impressive views of Hell's Half Acre. Get ready for a full day of sightseeing on the 17th (Sun): steep yourself in history at Chesterfield Townsite, then take in the natural beauty of Idaho's World Famous Hot Pools, then examine the collection at Bannock County Historical Museum, and finally admire the landmark architecture of Trinity Episcopal Church. For traveler tips, where to stay, maps, and more tourist information, go to the Pocatello road trip planner . The Route module shows you all the different ways you can get to Pocatello. In March, plan for daily highs up to 53°F, and evening lows to 29°F. Cap off your sightseeing on the 17th (Sun) early enough to travel to Reno. Kick off your visit on the 18th (Mon): pause for some serene contemplation at Saint Thomas Aquinas Cathedral, cool off at Lake Tahoe, and then immerse yourself in nature at Donner Memorial State Park and Emigrant Trail Museum. On your second day here, take in the awesome beauty at Diamond Peak Ski Resort and then enjoy the sand and surf at Sand Harbor. To see photos, more things to do, traveler tips, and other tourist information, use the Reno trip planner . Use the Route module to find suitable travel options from Pocatello to Reno. The time zone difference when traveling from Pocatello to Reno is minus 1 hour. Traveling from Pocatello in March, things will get a bit warmer in Reno: highs are around 61°F and lows about 35°F. Wrap up your sightseeing on the 19th (Tue) to allow time to travel to Monterey. 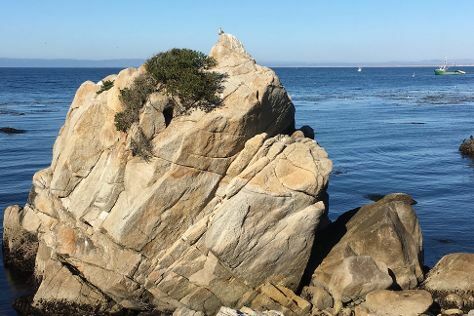 Monterey is a city in the U.S. Start off your visit on the 20th (Wed): kick back and relax at Lovers Point, get to know the fascinating history of Pacific Grove Oceanview Boulevard, and then tour the pleasant surroundings at Point Lobos. Here are some ideas for day two: trek along Scenic Road Walkway, then admire the landmark architecture of San Carlos Borromeo de Carmelo Mission, and then immerse yourself in nature at Pfeiffer Big Sur State Park. To see more things to do, ratings, reviews, and more tourist information, use the Monterey trip planning website . Traveling by combination of flight and shuttle from Reno to Monterey takes 4.5 hours. Alternatively, you can drive; or fly. Plan for somewhat warmer nights when traveling from Reno in March since evenings lows in Monterey dip to 47°F. On the 22nd (Fri), you'll have the morning to explore before heading back home.